Would I secretly stare at her while we ate breakfast or waited in line at the post office, studying the way her nose looked in 3D? Would I hate the way she moved her mouth when she talked, the way her chin crinkled and her lips pulled into a thin line? Would I be jealous that she could sing better than me and cook better and spell better? Would I always wonder if I were the smarter one, the prettier one, the nicer one? Would we talk on the phone each day or would we go weeks without speaking because we sort of already knew what the other one was doing? Would she look like a backwards image of me or would I look like a backwards image of her? Would we have a secret language and would it be mostly made up of clicks and hand signals? Would we have a day each week where we dressed up the same and played pranks on strangers in the grocery store? Would we have secret handshakes? Would we live together in the city and spend all our time at the park people watching and laughing at inside jokes? Would she be a better version of me? Would I be a better version of her? Or would she make me appreciate all my flaws and imperfections because they were mine? All mine. Oh, I love your theme--- it's definitely one of the most engaging I've seen this month so far via A to Z.
I've always thought it would be so romantic to be an identical twin, or a flying machine. Also, as an aside, I like how subtle your book promotions are on the side. I'm really not enjoying the blogs that are blatant book promotions. I'm bored by them. but here, I'm loving your original writing in the posts, so I'm definitely going to check out your books. 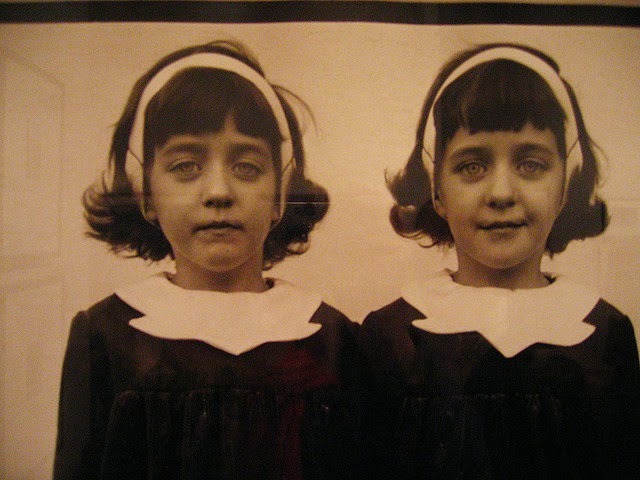 I have never thought about what it would be like to have an identical twin but you have made me curious! Interesting post.